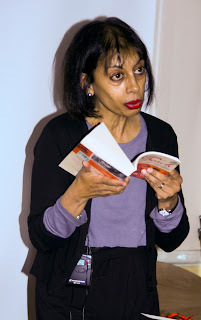 Roma Tearne is a Sri Lankan born writer, artist and filmmaker living in the UK. She left Sri Lanka with her family at the start of the civil unrest during the 1960s, subsequently training and working as a painter & filmmaker in Oxford. The Road to Urbino, her fifth novel, is a story of obsession, love and art set in Tuscany, Sri Lanka and London. It interweaves the lives of two very different men and their love for the women in their lives, set against the backdrop of the heartbreaking horrors of the long-running conflict in Sri Lanka. We were delighted to welcome Roma to York, where she showed us her exquisite short film 'Letter from Urbino,' which explores themes based on the book. This was followed by a lively Q&A, in which Roma discussed her work and her reflections on her homeland, as well as treating us to a reading from another of her novels, 'Brixton Beach'. “Beautifully written and observed, a richly woven plot. Roma Tearne leads us seamlessly between the intensity of art, love in a warm climate, and acute human suffering” - Jon Snow, Newscaster, Channel 4 News.